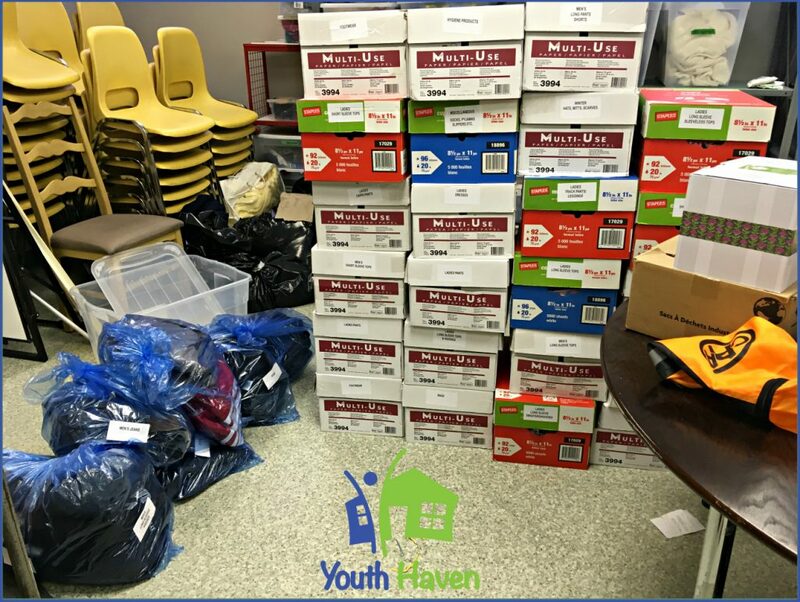 Check out the amazing donation that Youth Haven received in Midland from the incredible Tori St. Amant! Tori, a student at Georgian Bay District Secondary School, first contacted our Midland Outreach team in May. As part of her “20-Time” project in Grade 9 English, she wanted to help out in the Midland community and make a difference. She decided to put her efforts into helping Youth Haven! 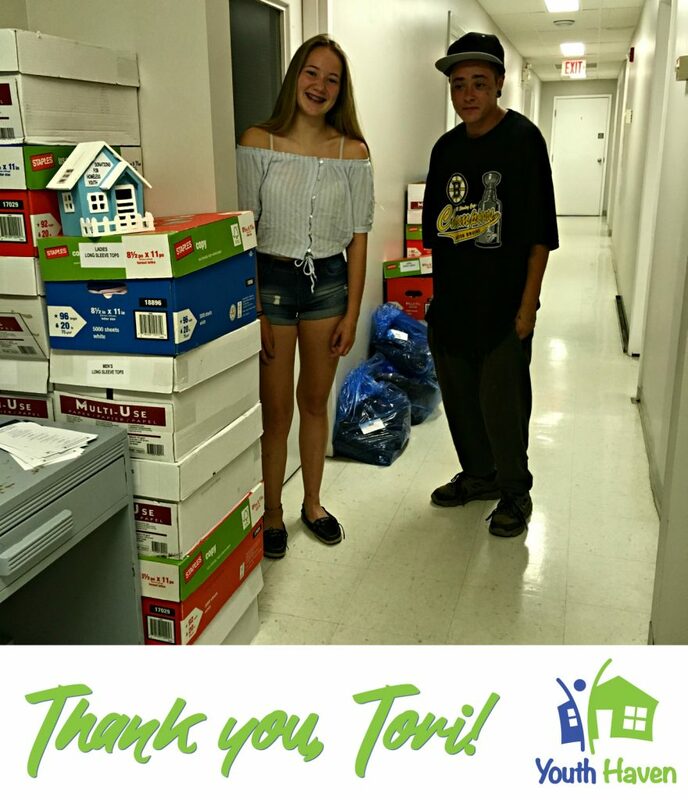 Tori took the time to come to our Hero Centre Youth Drop-In to get better insight into what our youth were looking for or needed. We were blown away by what she did next! Tori – Thank you so much for your incredible efforts to help our clients. You are an inspiration! Did Tori’s amazing efforts inspire you? Why not make a small donation to Youth Haven in her honour?